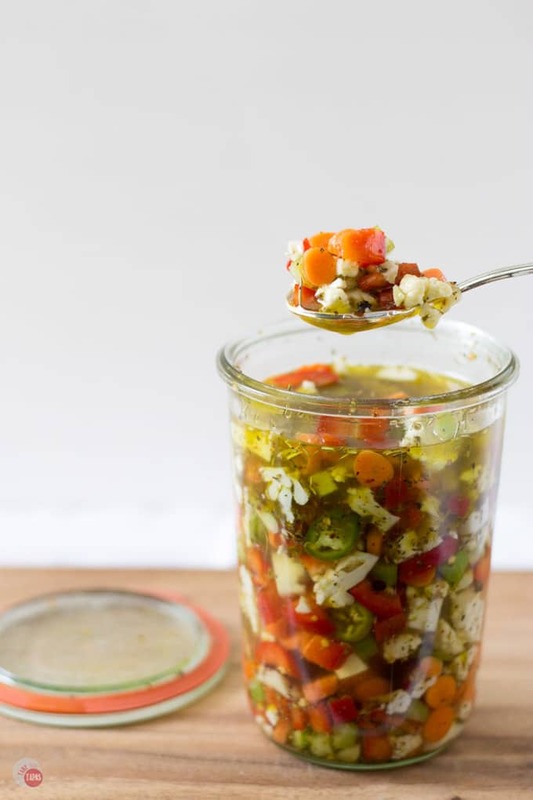 Use your bounty of summer vegetables to make a tangy giardiniera vegetable relish to add zip to your sandwiches and salads. Summer may be winding down but the farmers’ markets are bursting with a bounty of vegetables! What better way to preserve the taste of summer and the delicious vegetables than pickling them for later. 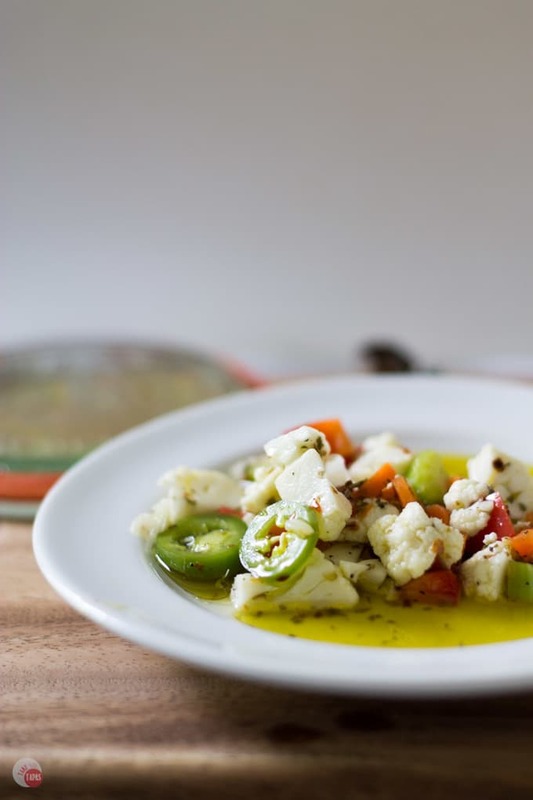 A homemade giardiniera, or Italian vegetable relish, is the best way to do this! My hubby Brooks loves to eat giardiniera straight from the jar, but I like to add mine to sandwiches and salads to spread the love around. Now the name sounds funny and I have a hard time pronouncing it. So much that I try to find someone saying it in a video so I can hear them pronounce it. Even when I try to say it after not talking about giardiniera, I can’t do it right. Making this giardiniera reminds me of my New Orleans Olive Salad. All those olives mingling together with the sweet cherry peppers and garlic make a great condiment for burgers and sandwiches. I could eat it all day! The store-bought version of giardiniera contains large chunks of veggie, too big for my taste, so making your own at home you control the size. It is so much easier to eat the giardiniera on a burger when the cauliflower is not the size of a baby’s head. My favorite way to eat giardiniera is on a muffuletta of course, but it is most popular in an antipasto salad nestled right next to the salami and provolone cheese. Don’t forget about a cheese board!! 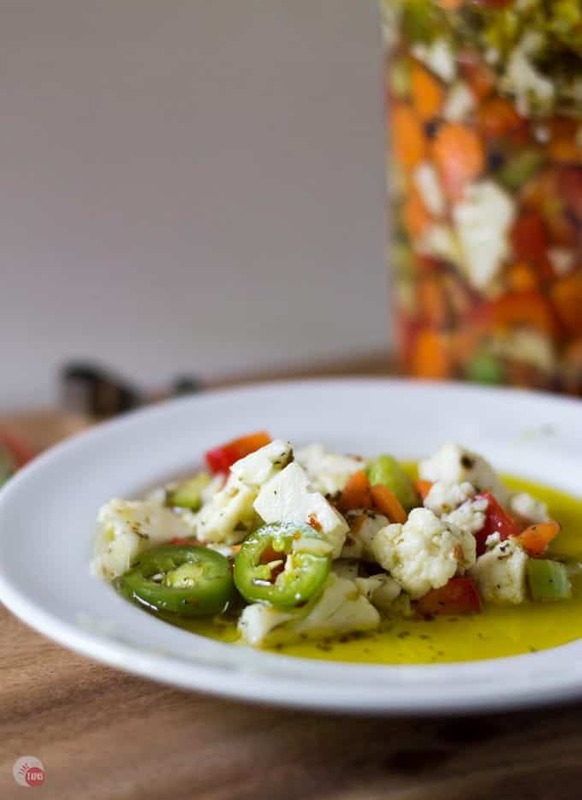 This giardiniera is perfect for dribbling on cheese and toast points. Before you start make sure you read through the recipe first. The vegetables must soak overnight before you can pickle them. The faster you get started the quicker you will get to enjoy it!! Carrots, cauliflower, and bell peppers are the base vegetables but feel free to make it your own. Feeling like you need some more spice? Add some habaneros or extra jalapenos. If you want it a little more mild, take out the serrano peppers and add more bell pepper. Mix all the vegetables together and place in a glass bowl or jar. Add enough water to cover the vegetables and salt. Cover and place in the refrigerator for at least 12 hours or overnight. After the soaking period is over, pour off the water and rinse the vegetables to remove any excess salt. Place vegetables in a clean glass bowl or jar. In a separate bowl whisk the spices, vinegar, and olive oil together. Pour vinegar, spices, and oil mixture over the vegetables. Invert the jar a few times to mix everything together. Store in the refrigerator for 48 hours. This will keep for 3 weeks if it lasts that long. 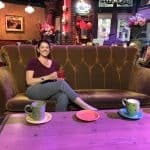 This post first appeared on Dish of Daily Life. Great Idea. Love all the different vegetables you used and that we can revise the recipe to our tasting.